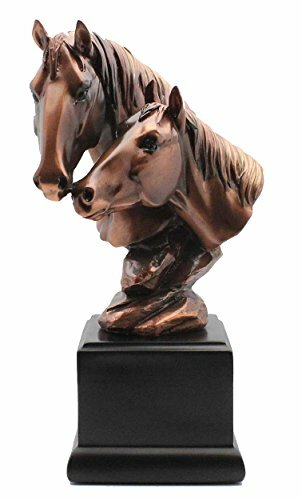 Beautiful statue of two horse heads on a 3" base. Great gift for that horse lover in your family. Would look great on a desk, bookshelf or you name it. Patinated copper finish gives the look of a true bronze. If you have any questions about this product by L7 Enterprises, contact us by completing and submitting the form below. If you are looking for a specif part number, please include it with your message.